After the huge success of Samsung galaxy S3, Samsung Galaxy S4 and Samsung Tablets, the world’s most successful Android manufacturer is going to reveal its brand new Smartphone Samsung Galaxy S5 next week at Mobile World. Early in 2014, rumors suggested that Samsung Galaxy S5 will have Fingerprint Scanning technology like iPhone 5s. Fingerprint scanners are slowly becoming a popular feature for high-end Smartphones, and just yesterday the rumors turned out to be true and SamMobile has confirmed that Samsung Galaxy S5 device will come with a Biometric sensor capable of taking Fingerprint scans to unlock the Smartphone device. Samsung Galaxy S5 fingerprint sensor will be implemented into the Galaxy S5’s Home button. The sensor itself works in a swipe manner, which means that you would need to swipe the entire pad of your finger, from base to tip, across the home key to register your fingerprint properly. 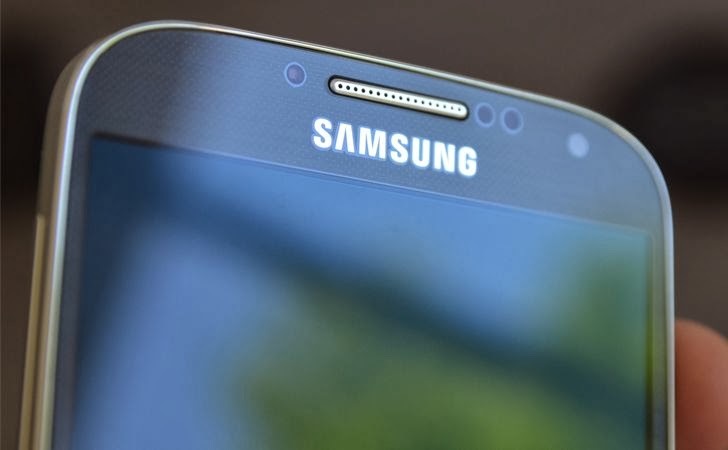 Unlike Apple's iPhone 5s Touch ID scanner, Samsung Galaxy S5 will require you to swipe your finger across the home button while keeping it flat. Also, you would need to keep your finger flat against the home key and swipe at a moderate speed or else it won’t recognize your fingerprint. You can feed total 8 fingerprints in Galaxy S5 and assign each fingerprint a different task or use it as an app shortcut, but at least 1 fingerprint must be used to unlock the device. Samsung has also introduced a new Personal Folder and Private Mode, where user will be able to hide apps and content that can only be accessed by a traditional password or PIN or the assigned fingerprint. Users will also be able to sign in into websites and their Samsung accounts using the fingerprint sensor and while scanning fingerprints, the device will display an image of the fingerprint in real time on the screen. Samsung Galaxy S5 Processor: Device will come in two versions to boost mobile, one with an Exynos 6 processor and one with a Qualcomm Snapdragon 805 processor. Sounds like an Interesting concept? New technology always comes with new threats, and then the word 'HACKING' comes into play. As Hackers always find their way out, and it's easy for them to develop new exploits for cracking any security parameters. The German hackers who cracked the Apple's iPhone fingerprint scanner last year, said "Biometrics is fundamentally a technology designed for oppression and control, not for securing everyday device access." So it would be estimated that Galaxy S5 Fingerprint scanners could also be hacked in the near future after its official release. What do you think of fingerprint sensors?